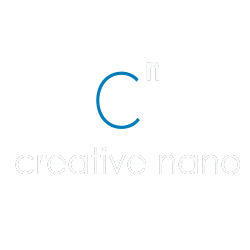 Cnano’s team consists of MSc and PhD level engineers and scientists with long experience on working and collaborating with companies, research institutes and universities across Europe aiming to solve technical impasses and create innovations that establish a competitive advantage for its clients. Our team specialises in research activities related to applications of nanoparticles and development of innovative nanomaterials and nanostructures. Our aim is to provide services that follow the current industrial requirements, ensuring knowledge transfer and successful commercialisation. Our team has already built a network of collaborators, including Universities, Research Institutes and Industries, in order to provide technical support and create innovative and applicable solutions and services for our clients. Chemical Engineer (NTUA), MSc degree in Materials' Science and Technology and Ph.D. in the field of electrodeposition and construction of nanostructured materials (NTUA). Chemical Engineer (NTUA). PhD studies on Refractory materials (NTUA). Bachelor Degree in Physics (University of Ioannina). MSc diploma in the field of Polymer Science and PhD on Polyelectrolytes and their Complexes with Proteins (National and Kapodistrian University of Athens). Bachelor Degree in Physics (University of Crete). MSc on Physics and Technological applications (NTUA). Bachelor degree in Materials Science (University of Patras). MSc in Nanosciences and Nanotechnologies (Aristotle University of Thessaloniki). Bachelor Degree in Physics (National and Kapodistrian University of Athens) and a MSc in Nanoscience and Nanotechnology (University of Glasgow). Bachelor Degree in Physics (University of Ioannina). Bachelor Degree in Computer Programming. Chemical Εngineer (NTUA). MSc degree in Engineering Management and PhD in Civil & Environmental Engineering (Duke University, U.S.A.). Chemical Engineer (NTUA). M.Sc. degree in the field of Science and Technology of Materials and PhD in the field of Supramolecular Chemistry (NTUA).